If you want to kick back, lay back and surrender to a very chic island getaway, then Sandals Negril is for you. From the moment you arrive at Sandals Negril, you'll find yourself immersed in the upbeat, friendly hospitality of Jamaica's stunning western coast. And everything, including famed seven-mile beach, is effortlessly yours and at your fingertips. If it's not there, all you need to do is ask your butler, concierge, or the front desk. Sandals is committed to making your vacation completely carefree, so we include everything – even transfers. Spanning Negril's famed Seven-Mile Beach, Sandals Negril conjures up tropical vibrations with a casual, understated elegance. Stroll through walkways dotted with swaying palms and sea breezes, while listening to the hypnotic sound of waves. Experience romantic moments created by the most amazing sunsets. Savor world-class cuisine at breathtaking, oceanfront restaurants. Relax and enjoy luxurious accommodations, steps from the Jamaican beach, including some of the most unique suites in the world with butler service where you can swim-up to your private patio. 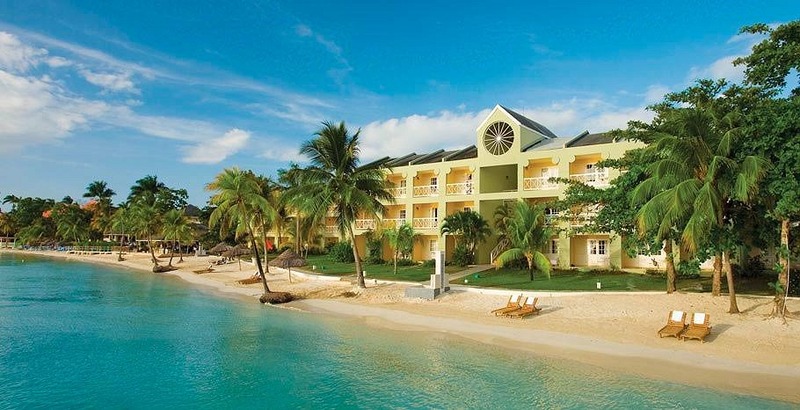 Stay at Sandals Negril and indulge in the Caribbean's ultimate beach resort. Pros: Couples Negril is located on a 2.5 miles stretch of beach called Bloody Bay (a Pirate thing). It's not 7 miles beach however the sand is still soft and very walkable. Rooms are well appointed and spacious, all king size beds, buildings are laid out in 2 U's facing the beach and ocean. They offer a beachfront suite that is amazing in size, has it's own hammock on every balcony. The beachfront suite is really very well priced when compared to other beachfront suites with Jacuzzi. The food is very good to excellent, tends to be more active than some properties. There is never a shortage of beach chairs, floaties or shade around the extra large pool and beach. Thatched roof swim up bar that also is shaded has a nice feel to it. This is an All adult all inclusive resort, no kids running around. Cons: Tallest building is 3 stories there are no elevators. Most rooms have only showers, if you like tubs get the beachfront suite.